Baby Tuxedos | Infant Tuxedos | Toddler Tuxedos | Boys Tuxedos. Infant and Toddler tuxedos and suits. 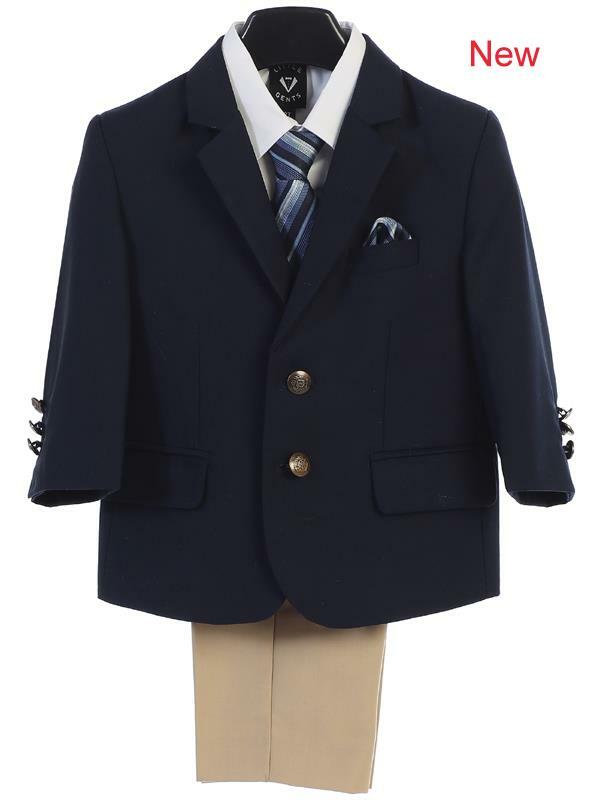 Dress your little gentlemen in style. 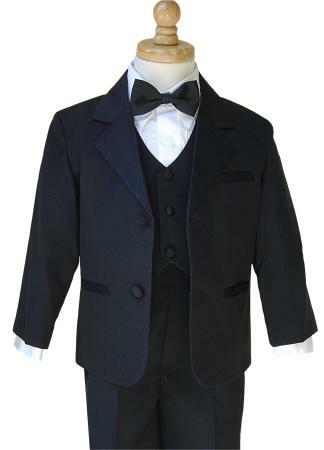 Infant, Toddler & Boy Wedding Formal Tuxedo Suits in Black, white, brown, tan, blue, navy or gray. 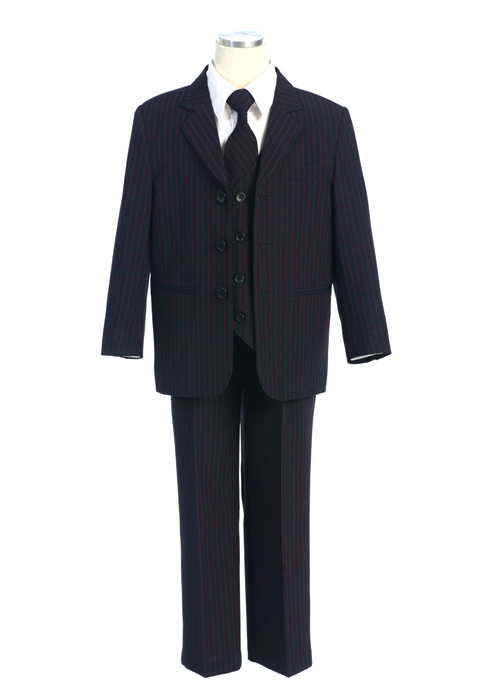 Two button notch tuxedo suit with satin lapel. 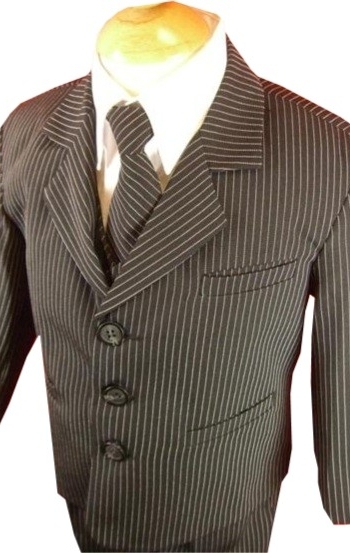 Black/white pin stripe suit, Navy/white pin stripe tuxedo suit. 5 piece boys white tuxedo with tails, includes pants, shirt, tux jacket, vest and bow tie. 5 piece boys white tuxedo with tails, includes pants, shirt, tux jacket, and bow tie. Choice of Angel, Pope or Maria on the back. Jacket and shorts with matching poly silk bow tie. 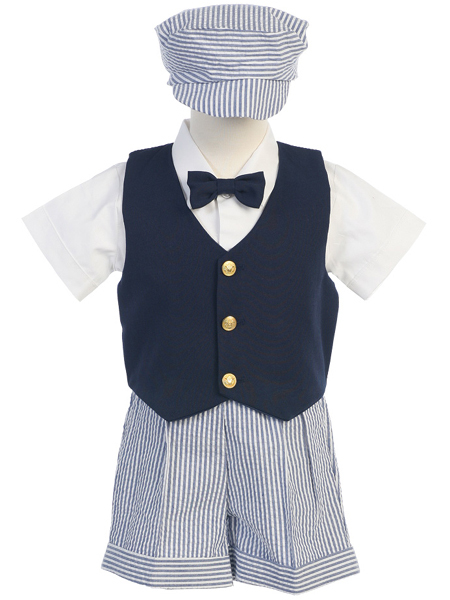 Set includes shirt, bow tie, vest, striped cotton seersucker shorts and hat. Lito 4 Piece Suit Poly Silk Vest and Black Pants, Shirt and Tie.